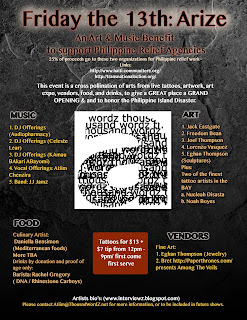 This event is a cross pollination of arts from live tattoos, artwork, art expo, vendors, food, and drinks, to give a GREAT place a GRAND OPENING & and to honor the Philippine Island Disaster. 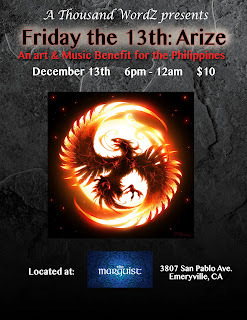 Please come and support the Philippines! 25% goes to Tigra: (http://transnationalaction.org)! They are actively rebuilding 5000 boats for the fishing communities affected by the devastating typhoon that recently hit the Philippines! 60% of all people affected were living in fishing communities. Let's help them become self-staining again! 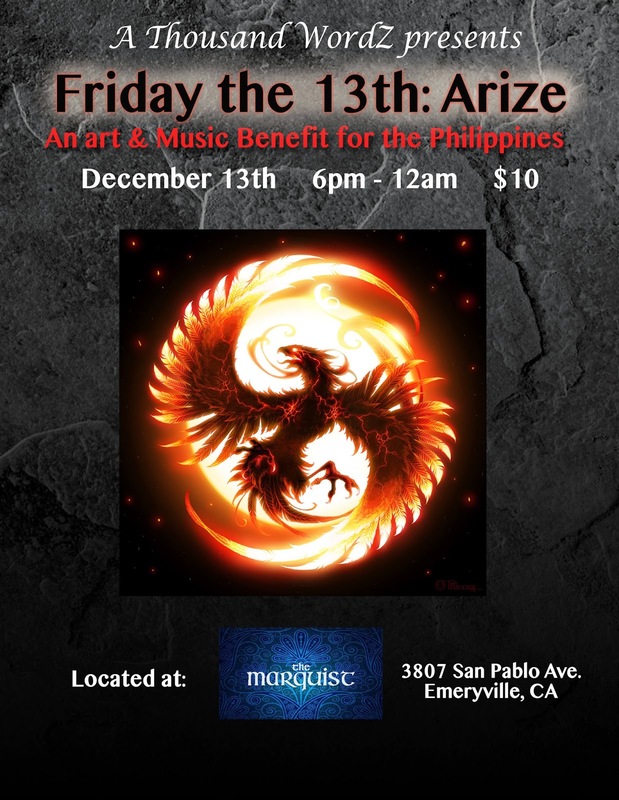 The Phoenix is the symbol of the people who have been devastated arizing from the ashes! 3. 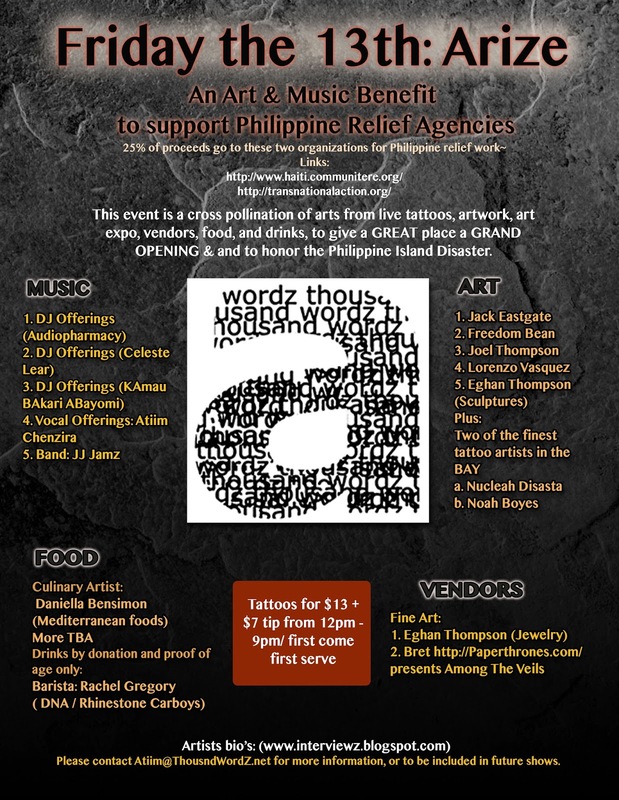 Please contact Atiim@ThousndWordZ.net for more information, or to be included in future shows.